Diesel fuel can get expensive when you run a fleet of freight trucks. 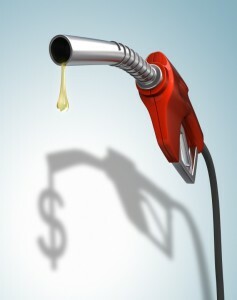 Check out these fuel efficiency tips! Improving the performance of a truck and freight truck fuel efficiency not only directly leads to lower costs over time, but can also contribute to lengthening the life of any vehicle. In trucking or haulage related businesses, a third of the running costs can be spent on fuel alone, this can lead to astronomical savings. This all comes down to several factors. The factors which decide whether or not peak freight truck fuel efficiency is achieved or not include: the habits of the driver, the quality of vehicle maintenance, and truck upgrades. The driver, however, makes the single biggest difference when it comes to freight truck fuel efficiency. Allowing a vehicle time to heat up slowly on cold days puts less strain on the engine and increases freight truck fuel efficiency. Idling can be a real gas guzzler, so if you know you will be stationary for a prolonged period of time, it is recommended to turn off your engine. It is also prudent to properly plan your route. This ensures that your vehicle will undergo the least amount of wear and avoid potentially hazardous areas or conditions. Check your tires, air filters, oil, and all parts of your truck regularly. Make sure that everything is in tip top shape or running properly. Vehicles that are not in the optimal condition and fastidiously maintained often waste fuel, are unsafe, and have a shorter lifetime of use. No one wants to make upgrades initially, considering the upfront costs. However, with how much money certain upgrades can save you by increasing fuel efficiency, they more than pay for themselves in the long run. Some of these upgrades include performance exhaust, suspension and tires, improving aerodynamics, and weight reduction. This entry was posted on Friday, April 1st, 2016 at 7:53 pm	and is filed under Fuel. You can follow any responses to this entry through the RSS 2.0 feed. Both comments and pings are currently closed.